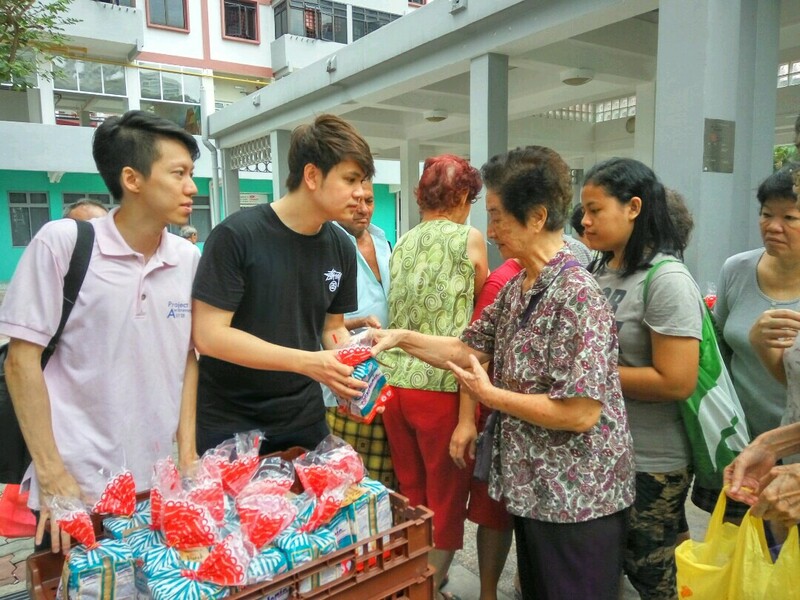 Elson Soh, a singer-songwriter who made his debut in Taiwan in 2014, is a dedicated volunteer in Singapore. Beneath his youthful façade, the 28-year-old is the founder of a cause bigger than himself – Project Awareness, a social initiative group that regularly convenes volunteers through Facebook to participate in volunteering projects such as distributing goody bags and food to the less fortunate. His desire to give back to the society was sparked by a simple gesture from a visually-handicapped fan, and in another instance, a wheelchair-bound individual who came up to him during an autograph session. 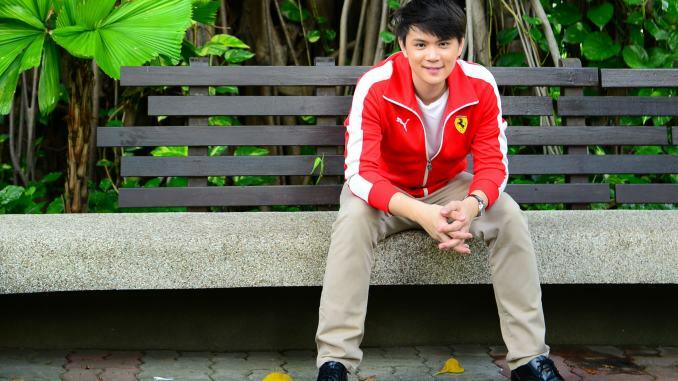 Touched by their support, he feels that his achievements are actually given by the society, and “[he] should give back if [he] can”, said the Mandopop singer who has over 90,000 likes on his Facebook page. “I started doing charity work with organisations. I had a joint collaboration with Singapore Red Cross in 2008. I wrote a charity song for the Szechuan earthquake and gathered 50 Singapore artistes to raise money,” he recounted. However, deep down, he still felt something missing. He wanted to know who he was helping; he wanted to be in contact with them. Hence, the spark of interest became a roaring flame. Elson, who always believes ‘giving is the first step to receiving’, readily initiated Project Awareness on February 20, 2013. “It is not just giving back to society; people must know that there is compassion in the world,” he told youth.sg. Here, Elson gives us a glimpse into volunteering and the touching moments that he has witnessed. 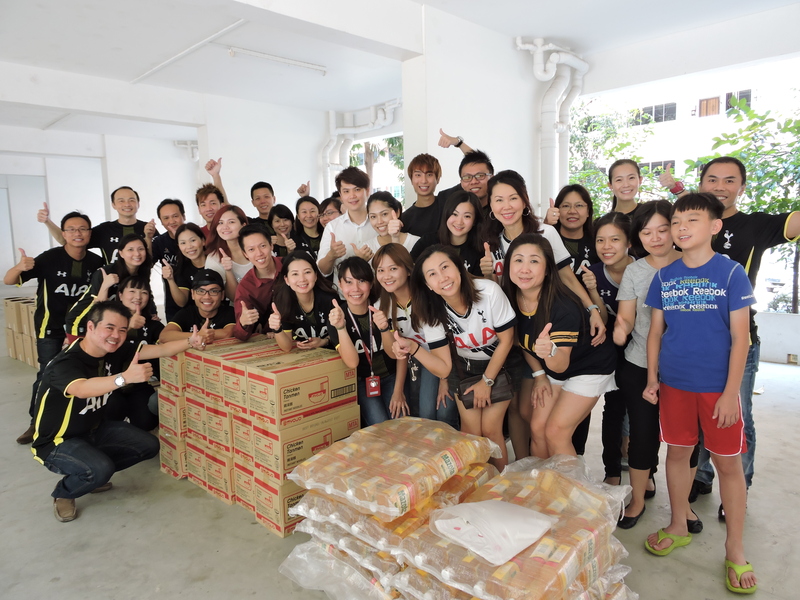 Epoch Times (ET): You often organise distribution programmes to help the needy, and volunteer your time accompanying the elderly. Any touching stories to share? There are lots of touching stories. There was one that left a deep impression on me – an elderly couple in Ang Mo Kio who got married in their 70s, not for love but responsibility. The caregiver passed away one day and Grandpa kept his promise and brought Ah Ma home. In order to apply for a flat, they registered for marriage in their 70s. Ah Ma behaved like a child and wanted to go out every day. As Ah Ma was wheelchair-bound, Ah Kong would painstakingly push Ah Ma from their block to the nearby McDonald’s every day without fail. For me, I may take about five mins to walk that distance, but due to Ah Kong’s walking difficulty, that distance was a 40-minute journey for the couple. One day, Ah Ma passed away. When I last visited Ah Kong, he was alone, but Ah Ma’s wheelchair was still lying around. He would cry when I mentioned Ah Ma, and said, “Si liao (Hokkien, meaning ‘she has died’). Due to the loss of Grandma, he was lost and depressed and didn’t know how to take care of himself as they were so used to each other. We helped him tidy up his place and clean the leftover food that had rot. The last time when I visited him, the toilet bowl was also choked and the whole house was very smelly. There is another elderly Ah Ma in her 80s who is making her living at the back alley of Mohamed Ali Lane. She makes her way there every day, whether rain or shine. She will sit down the whole night to sell things. Her items are all priced at $1 regardless of the [condition of the items]. She has one grown-up son who can barely make ends meet. She said she wants to work and not depend on others. When the media reported this, the elderly service centre went to assist her and brought her to a home. She ran off and went back to the lane again as she is used to this lifestyle. But I feel sad for her as she doesn’t dare to go to the toilet, as people will steal her stuff and money while she is away. She was robbed once. I will visit her from time to time. She is there every day after 5pm until as late as 12 midnight. You can hardly see this kind of story if you don’t participate in volunteer work. ET: What have you learned from your volunteering experiences? I have learned a lot. Most importantly, I have learned that we must be contented and appreciative of what we have. I realise the younger generation here thinks that today’s smartphone is a necessity. If you visit these families, you realise they don’t even have a phone or are using old generation phones. That is why I want to provide an avenue for the younger generation to step forward. Volunteerism is something that is very hard to motivate (people to embark on) because there is only giving and receiving nothing in return. Actually, you will receive things in unexpected ways, for example, a simple ‘thank you’. The thing I receive may not be material stuff, but it is that [feeling] of warmth and happiness. I feel that it makes me grow. I start to see less of the bad things and focus more on the good, such as treating everyone equally, regardless of whether you are rich, poor, successful, a nobody, a friend or an enemy. But how they want to treat me is a different thing. Sometimes, I treat my competitors coffee, but I don’t expect them to return the favour. ET: Do you think that you have become more compassionate? I won’t say I am more or less compassionate. I would say I am more grateful. I actually see things in a different or, rather, a better perspective. ET: What do you mean by ‘different perspective’? ET: Do you think Singapore is a compassionate and kind society? How can we cultivate a more compassionate society? Before starting ‘Project Awareness’, I used to think that Singapore is very result-oriented and materialistic. 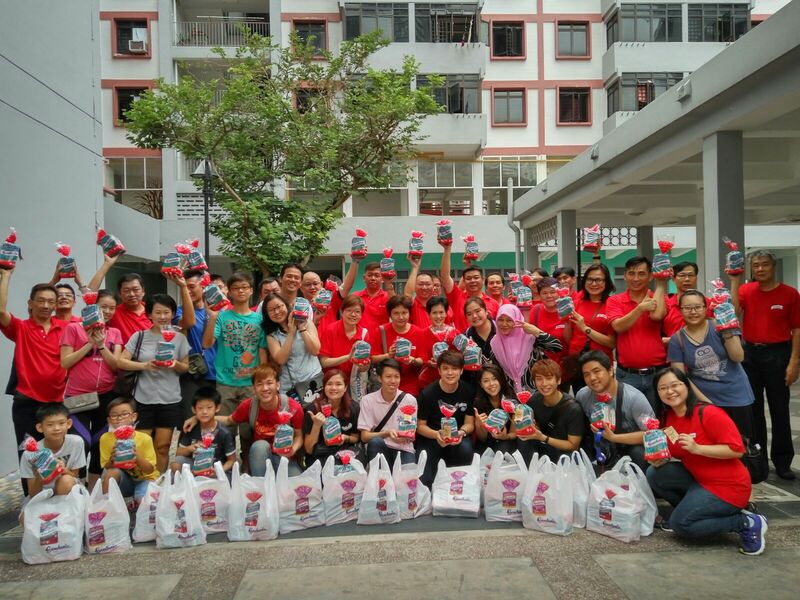 After my commitment in this project, I realised that Singaporeans are very keen in doing volunteer work. They would also call and text me. There are many kind-hearted Singaporeans; they are just not that enthusiastic in stepping forward. But if you need help, they will help you. This has changed my perspective of the Singapore society as a whole. Project Awareness is to promote volunteerism. It is about giving your time to someone who needs it and not getting anything in return. I think the mindset of volunteerism is still not widely practised and accepted. I think it is important to start from young. Personally, I feel there isn’t much emphasis on volunteerism although there is CIP (Community Involvement Programme) in schools. Volunteerism is catering your time to meet people, and helping out. Once you instil that kind of volunteering culture into people, young people will grow up feeling this is part and parcel of their lives. ET: In your opinion, why and how should we volunteer? Firstly, giving is the first step to receiving. Secondly, you will feel that your existence is worthwhile and meaningful. I always believe everything starts from giving. If you don’t give, you can’t receive. A lot of people say when I have time, I volunteer; when I have money, I will donate. They think I can’t even help myself, how do I help others? This is a wrong mindset. If you don’t have anything now, at least you can volunteer by cooking. If you are not free, you can contribute in whichever way. Many people think volunteering is donating, but it can be many ways such as cooking. By doing volunteer work, it actually expands your horizon and thinking. You will realise there are many things you can do to help and impact people’s lives in many creative ways.